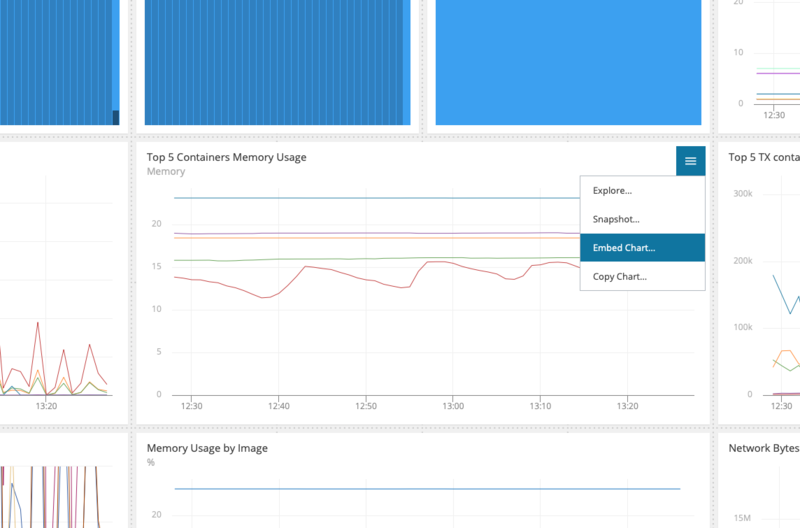 We’ve made it really easy to embed AppOptics charts into your own application or site. After configuring your tag set, open the dropdown menu within any chart and click on “Embed chart …”. 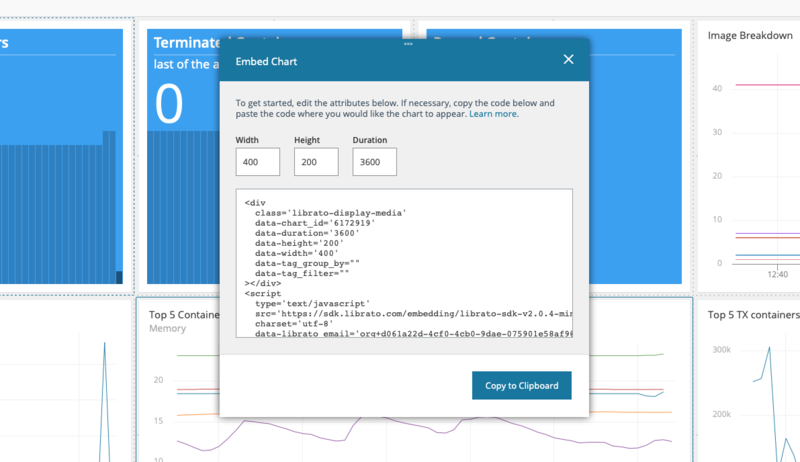 Height and width: control the size of the chart. Duration: controls the time window displayed. Once you are satisfied with the options, click in the copy to clipboard button, and paste the code snippet into your site’s source code.